BOOK 1 – BUY IT NOW! Once upon a time… Nine-year-old Beatrice has a dream – she wants to be a bus driver. But it’s not easy when your Mum is a dream-flusher and kills all your dreams. When Beatrice sees a model of a Routemaster Bus in a shop, she’s determined to have it and to turn it into a big talking London Bus that she can drive. And one day, guess what? 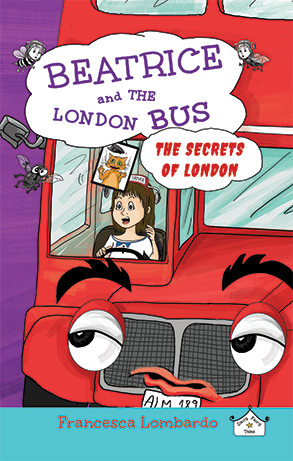 Beatrice meets a talking Bus in the streets of London, only special people can hear. She’s one of them. Did she make her wish come true? Has she suddenly turned into a wizard, even though her dream was to be a bus driver? No – she is not tall enough to be a wizard – Beatrice thinks. Was it just a DREAM, then? BOOK 2 –BUY IT NOW! Beatrice has a secret … Many secrets, actually, and she keeps them all to herself, apart from sharing a few with her BFF Mark. 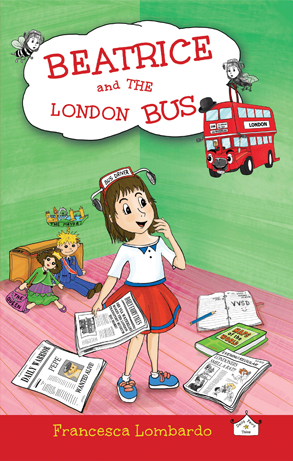 Every Sunday Beatrice embarks on a crazy adventure with her other bestie, who happens to be the talking London Bus RM 168 via Waterloo. London is not the city everyone thinks it is. The Bus shows her a ghostlike city no one knows still exists, a city full of secrets, illusions and traps. Its inhabitants – famous talking buildings, parks and tourists attractions – all have hopes, unfulfilled dreams and problems, just like her. She’s captured by the sloppy MI6’s spies, helps a whimpering Red Telephone Box resolve the mysterious disappearance of her phone – then meets the Mayor of London, who has two big secrets of his own. And he’s planning to get rid of the old London Bus. BOOK 3 – BUY IT NOW! After the misadventure at Hampton Court Palace, the London Bus tells Beatrice that he will never drive into a building ever again. When the Queen sends them both an invitation for tea at Bucky (Buckingham Palace), the London Bus changes his mind, of course. There is a problem though – the Bus is too big and needs to be resized. The help of the sloppy Magician with the 1000 Hats is needed but the royal invitation turns into a nightmare. Yet, they receive another important invitation. 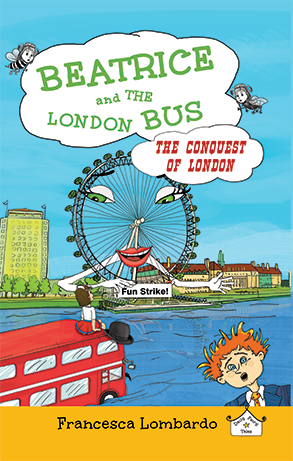 This time, to a royal horse racing event where the London Bus gets ‘horsed’ around while Beatrice becomes FAMOUS! Now the sky is the limit. Beatrice arranges a bizarre exchange programme between Westi (Westminster Palace) and London Zoo but MI6 spoils it all. There’s more trouble in the city. London Eye gets super-miffed with the Mayor and goes on fun strike! Beatrice helps sort out the argument and the best cabin party in the sky awaits them all when the impossible happens ….